Visually impaired people now read through a Smartwatch! | Advanced Eye Hospital & InstituteVisually impaired people now read through a Smartwatch! John’s smartwatch vibrates and he immediately runs his fingers on it, which leaves a 100-watt smile on his face. Sitting on the opposite desk his office colleague - Jacob curiously asked him about it. “It’s my girlfriend’s message…she is meeting me tomorrow”, John replied blushingly. Jacob asked him “But you received the message on your smartphone, how did you read it on your smartwatch? Well...this is a Braille smartwatch called DOT, which helps visually impaired or blind individuals to read incoming text messages, check the time, and even read an e-book! DOT is designed in a very intelligent way, which uses technology and offers a simple and easy-to-use device for visually challenged people. It pairs with a Bluetooth-enabled phone, so when the phone receives a text, the app translates it to Braille and sends it to Dot. 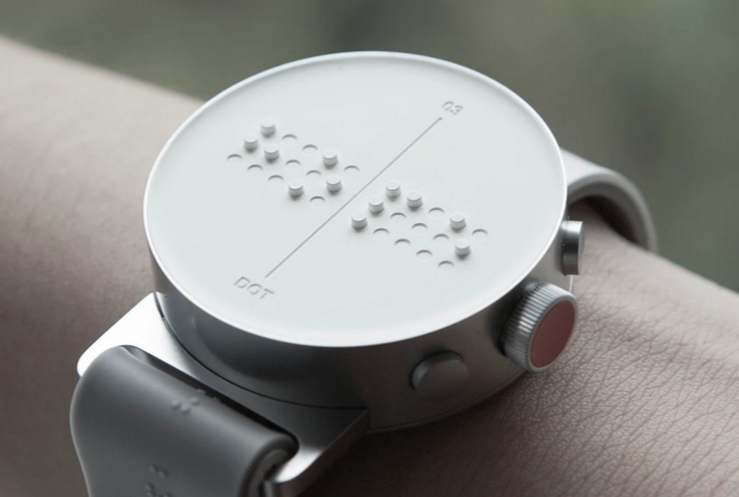 This is notified through vibration and the tiny buttons on the smartwatch rise and fall to produce braille characters. However, the outstanding feature of DOT is that it beats the traditional reading machine for braille in terms of price tag. Old machines were made of ceramic. 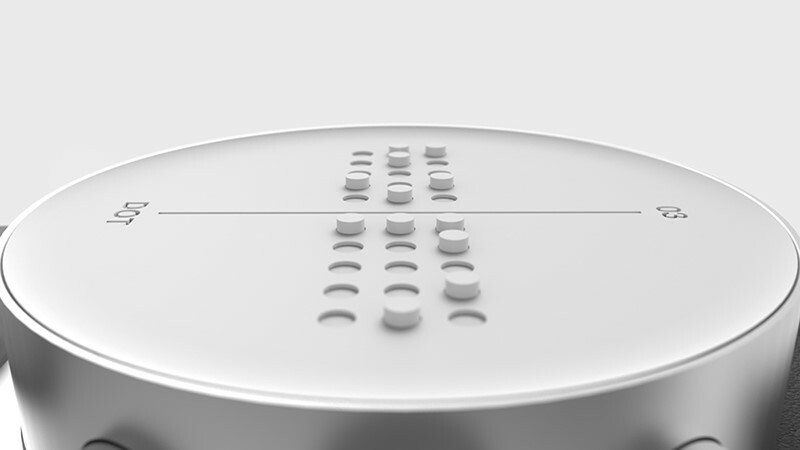 DOT is touted for being innovative and is made using magnets. The seed of the idea was discovered by a bunch of students of University of Washington who picked it up after watching a fellow classmate struggle with huge Braille books. Dot is currently available in the United States and Canada. This will definitely be a revolutionary step for visually impaired individuals, which amounts to an estimated 28.5 crores people worldwide according to World Health Organization. Low vision can be the result of variety of eye diseases like diabetic retinopathy, ARMD, advanced glaucoma, Retinitis pigmentosa etc. Currently people with low vision rely on a variety of optical and non-optical devices, which vary in complexity, and ease of use. Right from simple magnifiers, stand magnifiers, loupes and telescopes to more sophisticated electronic low vision aids like video based magnifiers, all have the potential to improve the quality of life of people with low vision. Your eye doctor or the low vision specialist needs to understand your daily requirements and lifestyle and then personalize the solution for your eyes. ADVANCED EYE HOSPITAL AND INSTITUTE IN NAVI MUMBAI is one of the best eye hospitals in Mumbai. Comprehensive eye check-up and the operation theatres are state-of-art and equipped with the best diagnostic and surgery machines. Personalised care, infection free modular operation theatres and beautiful ambience complement the cutting edge eye care offered at AEHI. Besides treating patients from Kharghar, Nerul, Vashi and Panvel, patients from all over western India travel to AEHI for world class eye care management.